BLOCK Duggie. Passed away peacefully on February 1, 2019, aged 84 years. Sadly missed by all family and friends. 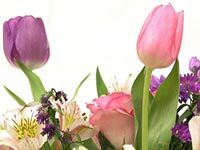 Funeral Service to be held at Ipswich Crematorium West Chapel, on Wednesday, March 6, 2019, at 3.15 p.m. No flowers by request but donations if desired to Cancer Research UK may be sent c/o. East of England Co-operative Funeral Service, 47 St Helen's Street, Ipswich, IP4 2JL.